Try patented Flexiphene solvent based nanomaterial emulsions today and put the power of graphene to work in your formulations. Flexiphene is amphiphilic, tune-able by pH, sheet size, and degree of reduction. Flexiphene is transforming the material world! Contact us Today to arrange for your Flexiphene Emulsions! To Buy Flexiphene emulsions, please contact us with the solvent, materials, amount, and loading ratio you need. 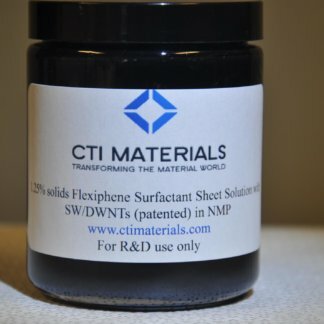 CTI Material’s patented Flexiphene solvent based nanomaterial emulsions are just what you need to disperse nanomaterials into solvents. Flexiphene works with SWNTs, MWNTs, and many other nanomaterials. We typically work with NMP, DMF, THF, Acetone, & Ethanol solvents however many more are possible. Please contact us today and let us know what materials you require, the loading ratios, and solvents and we can quote it for you. Note- Hazmat shipping fees may apply. 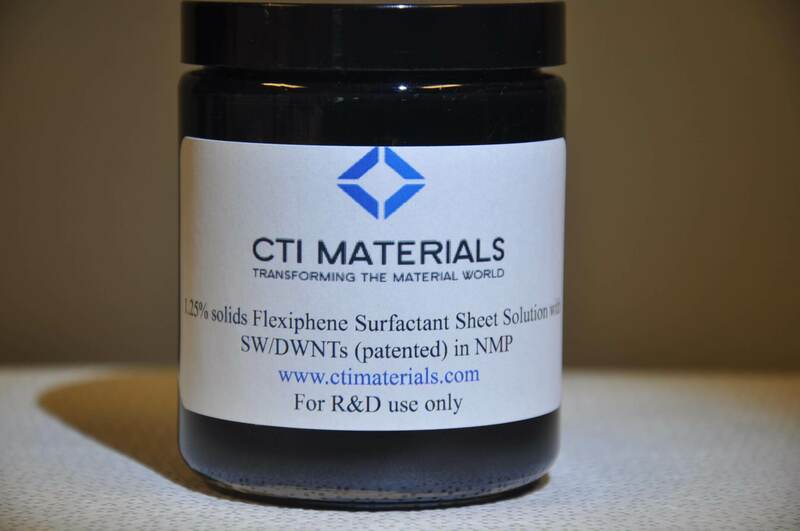 Flexiphene solvent based nanomaterial emulsions are transforming the material world!